We arent getting married until 2012 but you know what its like we all like to plan ahead. I have very short hair and I am struggling to think of styles to have for the wedding. There arent alot of hairstyles for brides with short hair in the wedding mags. I am thinking of wearing one of those mini victorian top hats. ooh i love that look! its so quirky and stylish. birdcage veils are so nice! 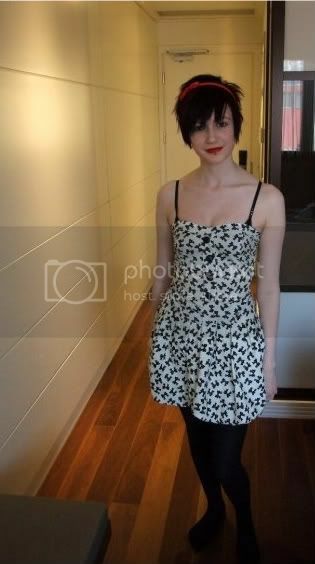 H2B would love me to grow it but I refuse to I love it this short and I am not changing it for anyone. 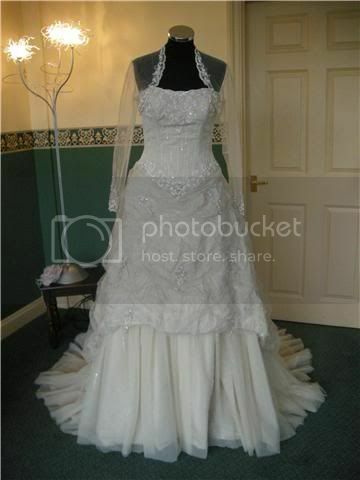 I am not a fan of tiara's and myself and the bridal shop owner agreed a veil would not look right with my dress. Which is why I am thinking of a mini tophat to go with the theme or do not think it would look nice? Have you been in the 2012 bride topic? There are brides in there with the dress, the bridemaids dresses, the venue and photograph and cars booked. 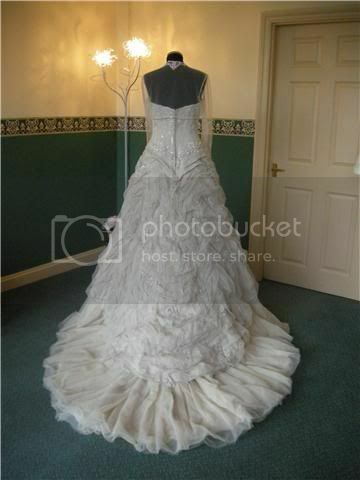 Im glad you've found your dress i just think that u could have a bit more of a look around to decide on what you want lol. Most places wont allow bookings until a year before anyway. Your dress is amazing and I think a top hat would look great with it. 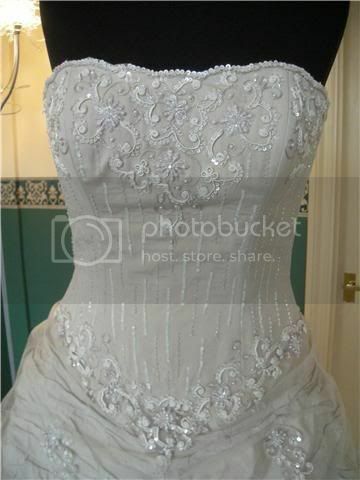 Mrs Honey has got a fabulous black top hat to go with her Ian Stuart - not sure where she ordered it from but send her an email through the site or post a FAO post and I'm sure she'll get back to you.